HOMEOPATHY INVOLVES THE USE OF MINUTE AMOUNTS OF NATURAL SUBSTANCES (REMEDIES) TO STIMULATE THE BODY TO HEAL ITSELF. It was developed in the 1700’s by a medical doctor, Sammuel Hahnemann. It is considered to be one of the safest forms of medical treatments, and can be used by people of all ages -- including infants and pregnant women. 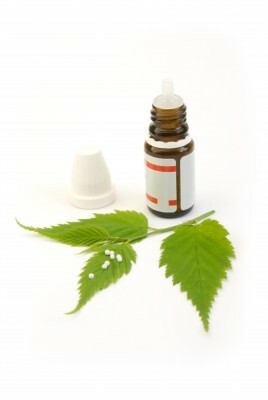 Dr Slonetsky practices both classical homeopathy (Hahnemannian), as well as combination homeopathy. Classical homeopathy involves matching a person’s physical, mental, and emotional symptoms to single homeopathic remedies. More than one remedy can be given on the same day or alternate days, with the intention of setting the healing processes of the body into motion. Combination homeopathy uses products that contain several homeopathic remedies that have been specifically formulated to support or cleanse various organs or systems in the body, such as the liver, kidney, bowels, and nervous system. Both types of homeopathic remedies are used for a wide range of acute (colds, flu, sprains) or chronic (eczema, menstrual irregularities, anxiety) conditions. Christine is a licensed naturopathic doctor as well as a registered social worker.